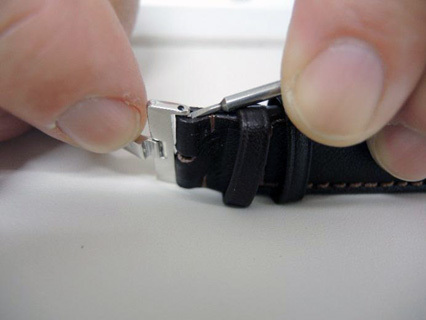 Step 1: remove the original pin buckle from the watch by using a flat tool (such as the blunt edge of a knife) to push down and release the holding pin. 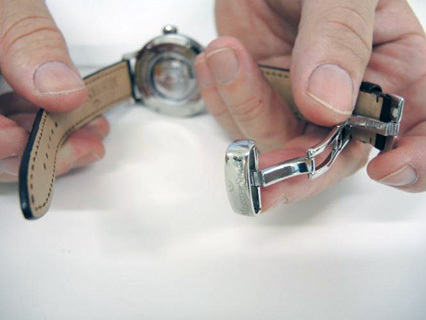 Step 2: release the buckle on both sides and fully remove the clasp from the watch. 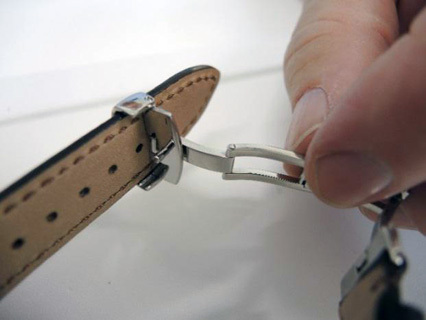 Step 3: to prepare the deployment clasp and make it easier to fit, open the clasp to enable the strap to be fed through. 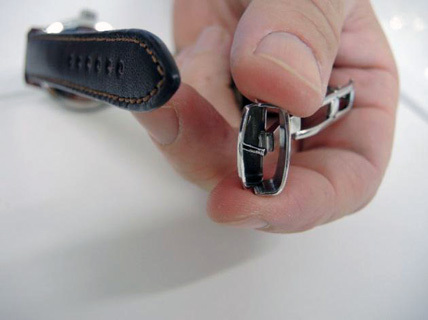 Step 4: reinsert the pin into the watch strap and position one side of the deployment/folding clasp, secured with one side of the pin. 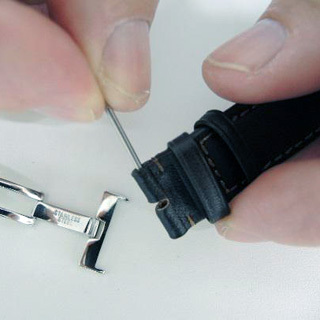 Step 5: using a tool push down on the other side of the pin ensuring the pin clips into place securely. 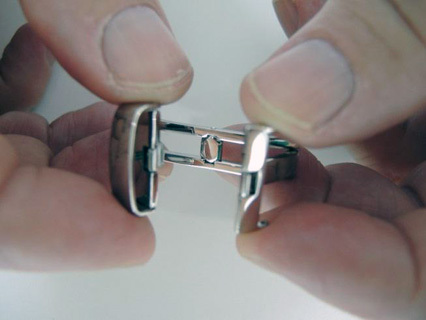 Step 6: once the deployment clasp is secured in place on one side you can size the band to fit. 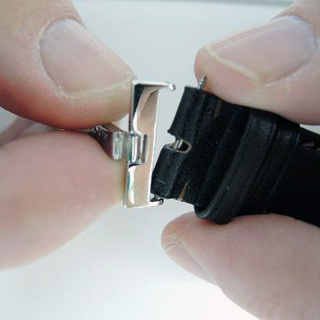 Step 7: to do this, flip open the clasp flap on the underside of the buckle head and feed the strap through the clasp. 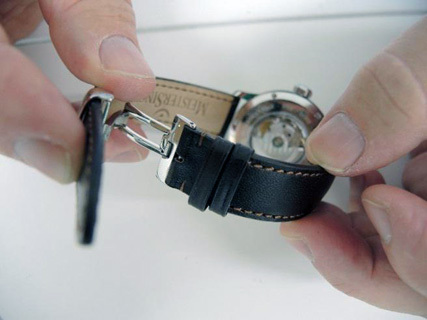 Step 8: latch the clasp shut by clipping it into the hole that rsults in the ideal position for your wrist size. 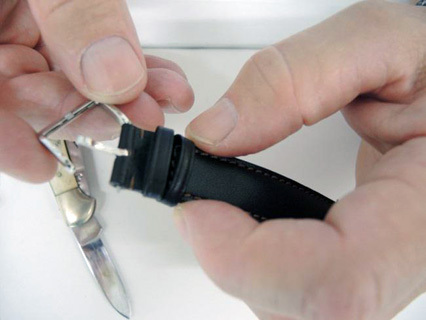 Step 9: to close/shut the deployment/folding clasp simply fold inwards, feed the loose band end into the holding points/leather rings and clip shut. 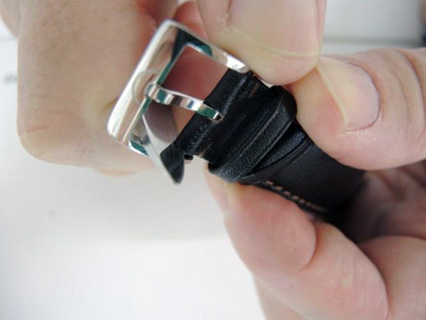 You can return back to step eight to adjust sizing if the hole you have selected is too loose or too tight.